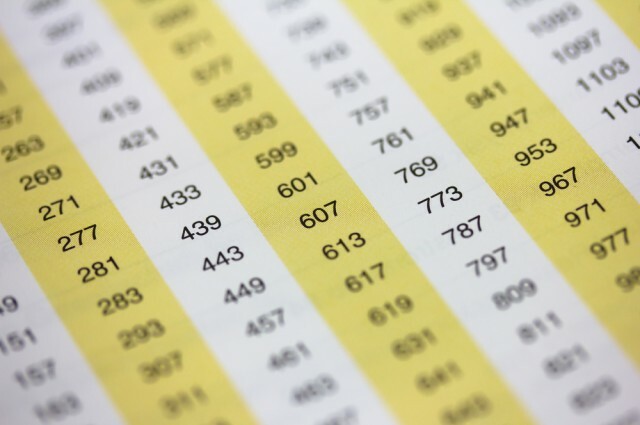 A significant discovery has shook the mathematical world: Prime numbers are not actually random. Apart from two and five, every single prime number finishes with either one, three, seven, or nine. If there was no arrangement, then the chance of having two consecutive primes ending with either number should constantly be 25 percent, but that's not always the case. Kannan Soundararajan and Robert Lemke Oliver of Stanford University in California have revealed that in the first 100 million prime numbers, a prime ending in one is followed by another ending in one 18.5 percent of the time, by three 29.7 percent, by seven 30 percent, and by nine 21.8 percent. In other words, the prime's final number is most likely not to be repeated. Prime numbers are numbers that are divisible only by themselves and one. They are of the uttermost importance in math because they are the building blocks of larger numbers, and they are the cornerstone of encryption in modern communication. Primes are not only present in our base-10 numbering system but also in other bases, and the phenomenon Soundararajan and Lemke Oliver have observed is found there as well. Understanding where the phenomenon comes from could help us crack the mystery of prime numbers, namely that we don't have a formula to predict them. Their explanation is based on the k-tuple conjecture, a mathematical supposition for the apparent grouping of prime numbers, indicating that at least some of them can be grouped in patterns. The findings won’t help us solve any of the most important mysteries of prime numbers just yet, but they are telling us that something very interesting is going on.